Summary: Zoey Handler is ready to put an end to her decade-long rivalry with Gordon Meyers. They’ve traded top spot between valedictorian and salutatorian for years, but all that’s over now. Right? But after a crazy graduation speech prank gets out of hand, suddenly their rivalry turns into all-out war. Time to make peace with a little friendly payback. 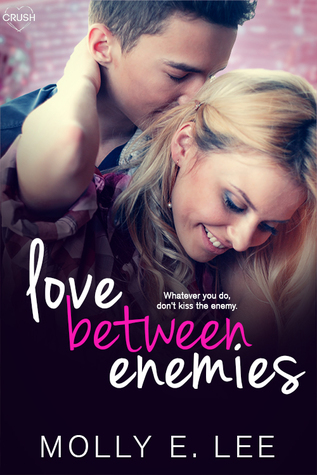 Love Between Enemies was unique in that it was based on revenge and a competitive heart. I wouldn't say this book gave me #thefeels like most of the Crush books do but it did catch my interest. The entire story was set in the span of a few days and it was a lot to take in. You had to accept that they had an unspoken history with each other and there were several memories that built out their past. I kept waiting for the shoe to drop and when it did I was left feeling meh about it. I like the Grad Night series and the writing style of Lee and honestly think it was just the characters. Zoey and Gordon just didn't do it for me. Overall, this was an easy, quick read but just not one of my Crush favorites. It's a shame that this one didn't really bring anything new to the table for you but it's good that you still like it nonetheless.